One of the most memorable days in a person’s life is their wedding day, and what better way to celebrate that milestone than to gift them with a Rolex watch? Depending on your budget, there are many models to choose from ranging from entry-level stainless steel dress watches to models crafted from precious metals. 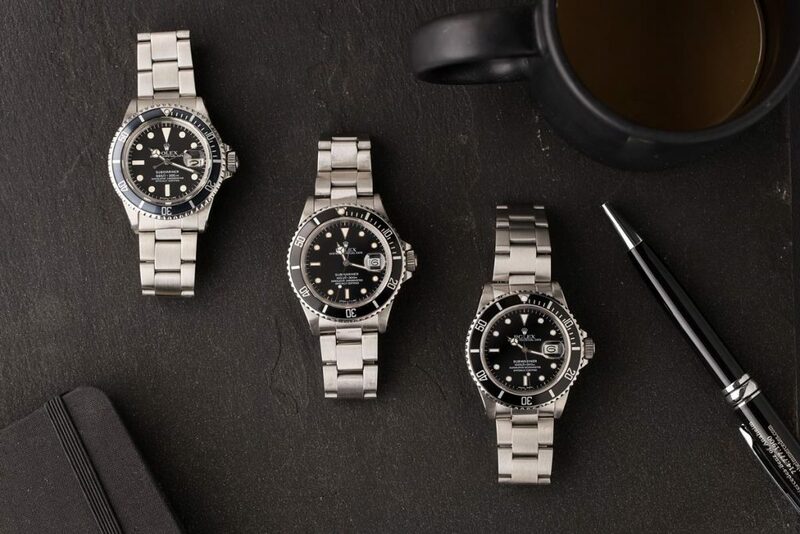 In this article, we’ll break down a few of our choices for the best Rolex watch to give as a wedding gift at different price points that will appeal to collectors of all budgets and lifestyles. 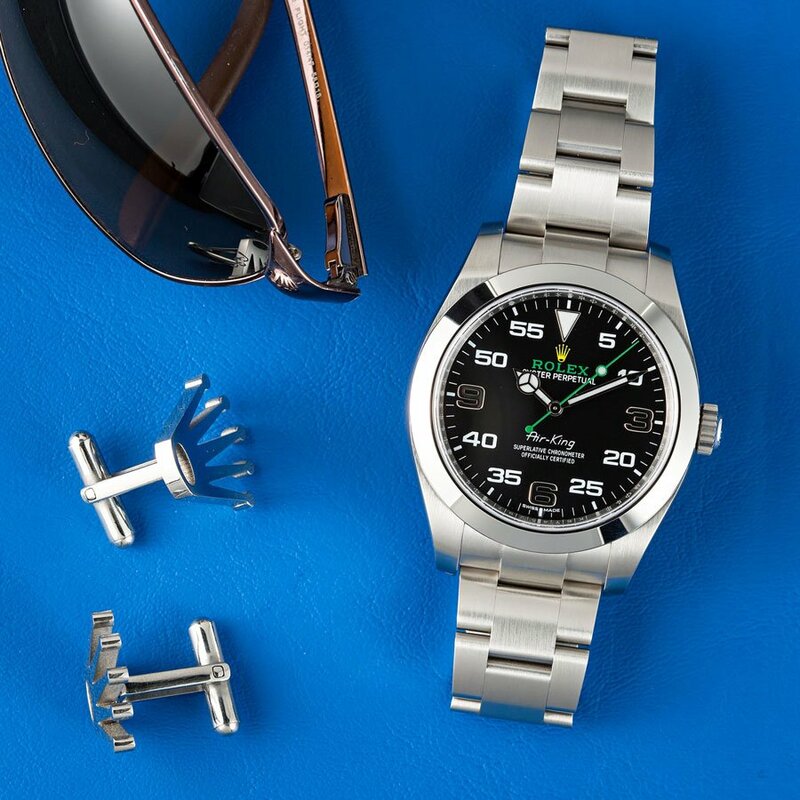 The Air-King watch is considered by many Rolex enthusiasts as one of the most affordable, entry-level options. While new references retail for far more than $3,000, there are Air-King timepieces on the secondary market that fit into that budget. In fact, the men’s reference 5500 is available for just under $3K and brings not only classic Rolex style to the table but also a waterproof Oyster case and a reliable self-winding movement. This reference is always crafted from stainless steel and is worn on either an Oyster or a Jubilee bracelet. Unassuming and durable, the vintage Air-King will make a sophisticated statement and is suitable for just about any occasion. When one thinks of a milestone watch, the first choice that often comes to mind is the Rolex Submariner diver’s watch. As a sports watch, the Submariner offers incredible functionality as well as iconic style, landing it in the mid-level price range. Several variations are currently available new or pre-owned, including stainless steel, yellow gold, or two-tone variations as well as different bezel and dial colors. The case will always measure 40mm and is equipped with a time-lapse bezel as well as a waterproof screw-down crown. While the bracelet and clasp are designed for optimal comfort and security while in the water, it’s also an appropriate timepiece while on land. There are several feature sets available on the market, so which options best fit the mid-level price range? Depending on the particular watch, the Submariner reference 16610 can be found used for just under $7,000. This reference will offer the debonair James Bond style that collectors crave without breaking the bank. If you seek a new Submariner, consider the No Date ref. 114060, which retails at $7,500 and boasts Rolex’s proprietary Oystersteel finish, a highly coveted Cerachrom bezel, and a time-only calibre 3130 perpetual movement. Whichever option you choose, the Submariner is sure to look great when paired with a black tux. If you have a higher budget, we recommend investing in a Rolex Cosmograph Daytona. Effortlessly cool, yet formal when it has to be, the Daytona is suitable for any occasion, from weddings and other black-tie affairs to a day at the office. Behind its enviable style is an intricate movement that is built to include stopwatch functions while resisting shocks. While the Daytona chronograph was initially designed for use while on the race track, it has since become a widely sought-after statement piece for collectors of all lifestyles. 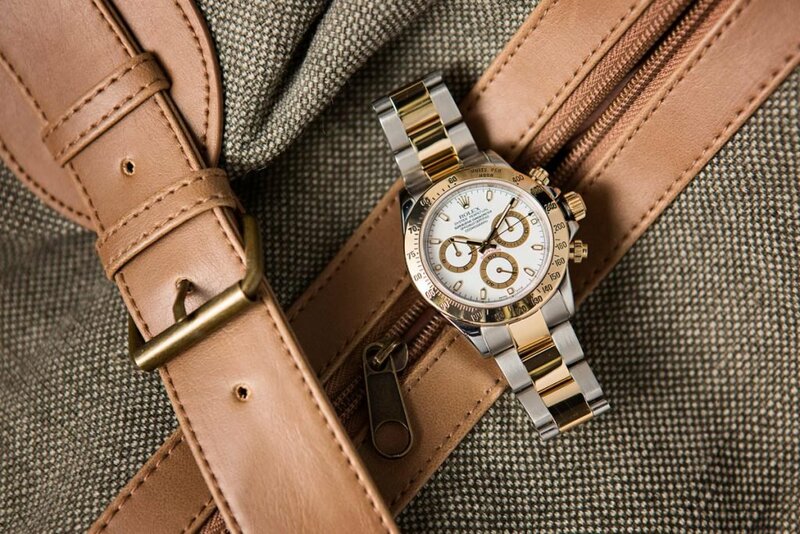 One of the hottest Rolex watches on the market right now is the Oystersteel and Cerachrom bezel Daytona ref. 116500. Its popularity stems from an affordable steel finish and a ceramic bezel. Retailing at $12,400, this men’s Rolex is just above budget. If you’re willing to wait a few years to get your hands on one, then this particular reference is the perfect watch for you. Another option that you can buy now is the two-tone variation ref. 116523, which is available on the secondary market starting at around $11,000, depending on the condition of the individual watch. Crafted from steel and yellow gold, the ref. 116523 will make a bold statement. Rolex watches don’t just make a great wedding gift, every milestone or success in your life, including graduations, retirements, promotions, anniversaries, or birthdays, can be celebrated by treating yourself or a loved one to a watch from one of the world’s most iconic luxury watch companies. Whether you buy new or pre-owned, you can rest assured that whichever option you choose will remain in good working order and has the potential to either hold its value or increase in value in the coming years.